An exhibition space located in the heart of Copenhagen, Nikolaj Kunsthal presents contemporary art in an unlikely space. 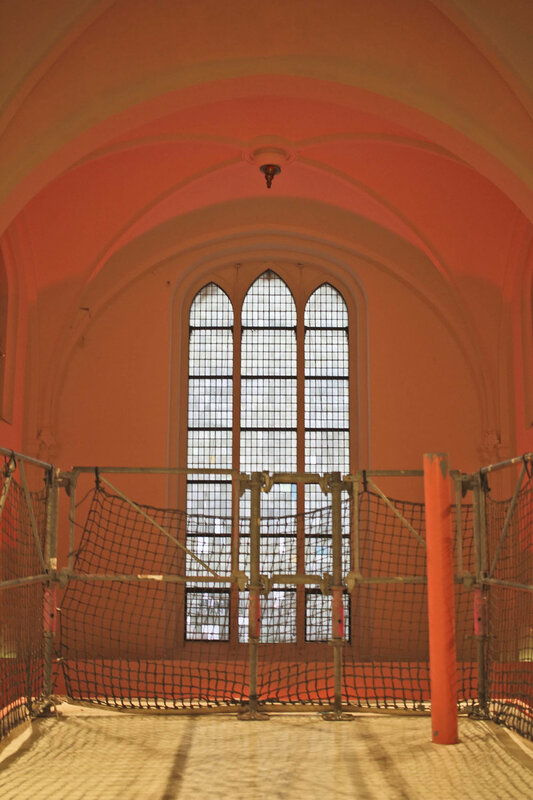 Copenhagen’s third oldest church, is not a place of worship but a home to experimental and contemporary art. Built in the early 1200s, St. Nikolaj Church operated as a place of worship until the Great Fire in 1795. With the cost of reparations considered too great to bear, the parish was dissolved. From 1805, remaining portions of the building were repurposed. St. Nikolaj Church has functioned as a a fire station, a naval museum and a public art library among other things. In the latter part of the 20th century, its purpose transitioned once more. An intimate exhibition space, Nikolaj Kunsthal hosts several experimental contemporary art pieces each year. Currently on display at Nikolaj Kunsthal is “Law Shifters” (11 January until 1 April) by Danish artist Stine Marie Jacobsen. The exhibition, which she has been working on since 2016, aims to create a dialogue about lawmaking and democracy. The exhibition titled, ‘The Ship’, featured at Nikolaj Kunsthal from 23 August 2017 to 7 January 2018. Designed by visual artist, Eske Kath, and musician, Oh Land, the three-tiered structure encouraged exploration and interaction. Opening hours: Tuesday - Friday: 12 - 6pm, Saturday - Sunday: 11am - 5pm, Monday: Closed. Included with admission: Entrance to the Nikolaj Kunsthal gallery includes free admission to Thorvaldsens Museum, which is a five minute walk away, just across the canal.